If you're living stateside, I hope you're voting today! Whether you're voting for one of the primary candidates or Rosanne Barr, your vote matters. Pay attention to your state's Amendments as well, and just go vote! I think it's obvious from today's manicure who my vote's going for! Colors used are all from OPI: No Room for the Blues, Tasmanian Devil Made Me Do It and My Boyfriend Scales Walls. Hah yeah. I just browse all this stuff and get so jealous cause there is no WAY I could recreate it myself! yay for who you're voting for! Love it! Nice and clean. 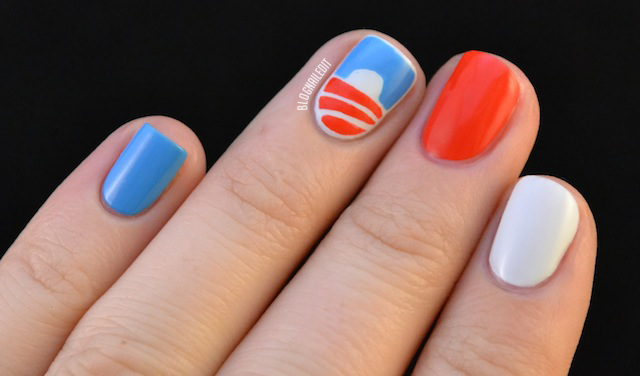 love the nails and love the candidate! Yay for the candidate! 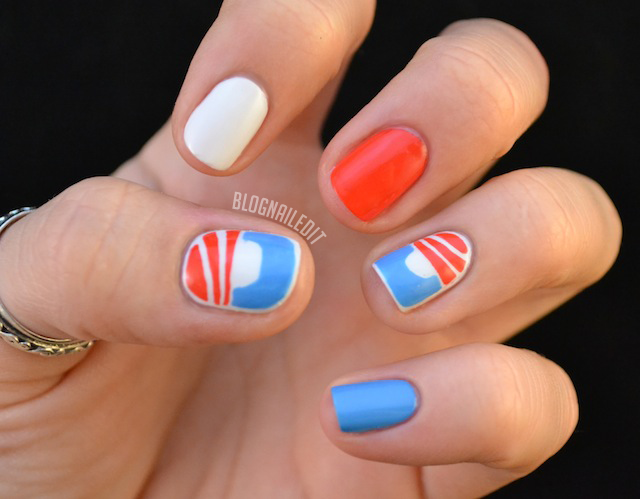 Although I'm Canadian and can't vote for him :P Lovely mani! AMAZING nail art skill. Wow! Great inspiration, love your nails, they look always so neat! I absolutely love these! And I'm right there with you on who you voted for; I'm sooooo relieved now that it's all over and done with.